Preparation methods, tire applications along with unique tools keep racers running at the top of their game. 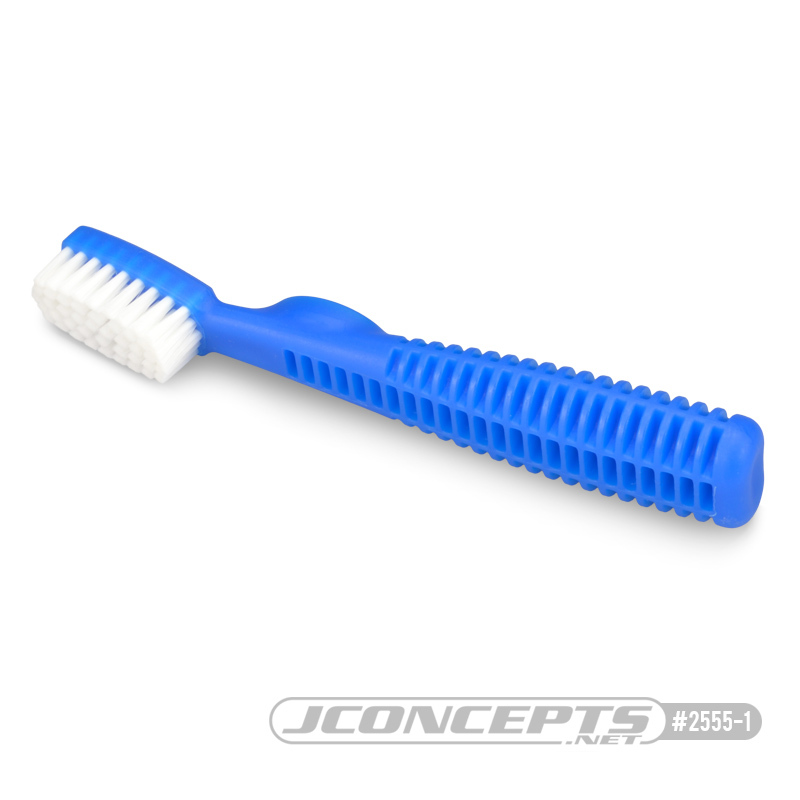 JConcepts has calmly stepped up and delivered a ground-up design tire saucing and cleaning brush. The application brush is a simple and effective way to apply cleaners, refreshers and additives to RC tires. The brush has a beefy, JConcepts logo handle with additional thumb platform that allows the user to quickly and directly attack each tire with the necessary force. In addition, the handle has been lightened during the design process with heavy pocketing for the most racy look, feel and performance. The resilient, durable and wide footprint bristles are long lasting, standing up to even the most extreme racer abuse on a consistent basis. Also used as a clean-up or scrub brush, the diversity of this brush is a welcomed addition to any racer's tool box.